Offered in this lot are three game used bats. The first bat was used by H. Bell during the 1910-15 seasons. This Hillerich & Bradsby pre-model displays outstanding game use and has a crack in the handle. There was side writing on the bat that is no longer legible. This bat comes with a LOA from PSA/DNA (1B13906). The second bat in this lot was used by Taylor Douthit circa 1930. 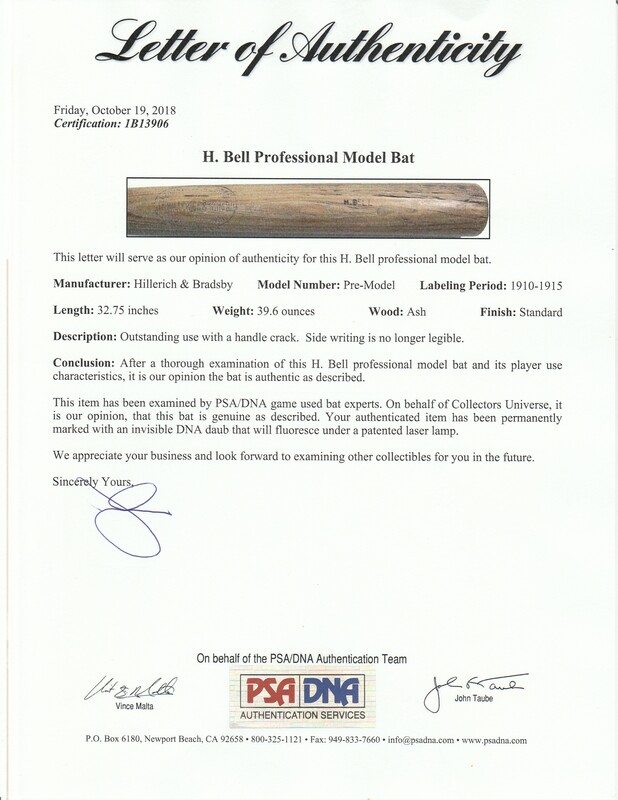 This Hillerich & Bradsby FP355 model bat displays outstanding use and has a crack in the handle. There is a chip missing from the knob and an approximately 12 x 1 ½-inch piece is missing from the back barrel. 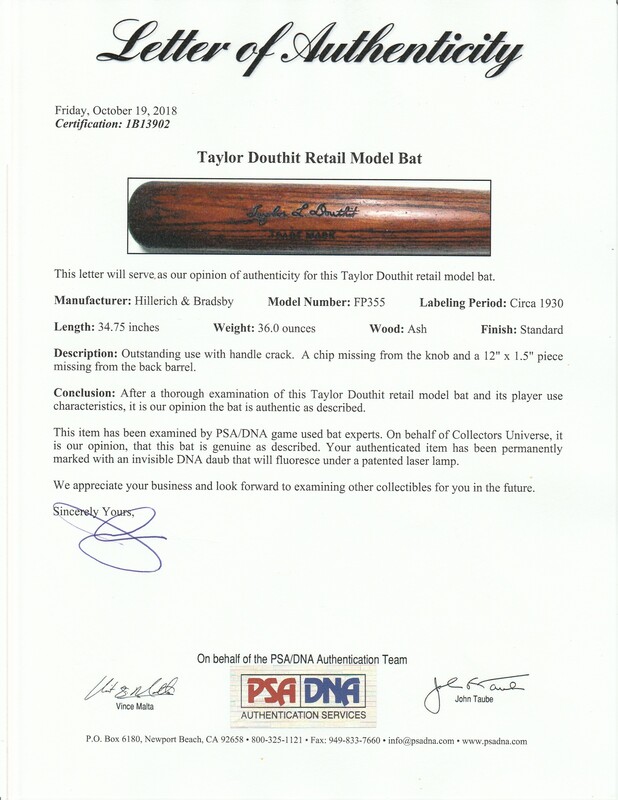 This bat comes with a LOA from PSA/DNA (1B13902). The final bat in this lot was used by R.T. Fisher during the 1922-24 seasons. This Hillerich & Bradsby Pre-Model bat displays outstanding use with a cracked handle that has been secured. The barrel has checking or grain swelling from repeated ball contact. There is an area on the left barrel that has been planed to receive factory side writing and is only partially legible and reads “Frank G 7-14-24”. This bat comes with a LOA from PSA/DNA (1B15403).